Forced to drop out of an esteemed East Coast college after the sudden death of her parents, Jane Moore takes a nanny job at Thornfield Park, the estate of Nico Rathburn, an iconic rock star on the brink of a huge comeback. Practical and independent, Jane reluctantly becomes entranced by her magnetic and brooding employer, and finds herself in the midst of a forbidden romance. But there’s a mystery at Thornfield, and Jane’s much-envied relationship with Nico is tested by a torturous secret from his past. Foreshadowing is a big deal to me. Nothing makes me throw a book across the room in disgust faster than bumbling, obvious, clunky foreshadowing. In the beginning of this book, before things really get rolling, Lindner shows Jane thinking she’ll be able to keep cool no matter what the “debauched rock stars” throw at her. I like this type of implied foreshadowing – a general sense of foreboding, if you will. Lindner knows her readers aren’t dumb. She didn’t insult our intelligence with any “little did I know what I was in for” type nonsense. A lot of classics fail me in this regard, so I wanted to make a note of the fact that I appreciated the way it was handled here. This book does an excellent job of channeling Jane Eyre. It definitely captures the Gothic creepiness vibes (in a rock star’s mansion, no less). It also manages to ride the same line between the real world and “this is outlandish and ridiculous.” (I mean that in a good way.) 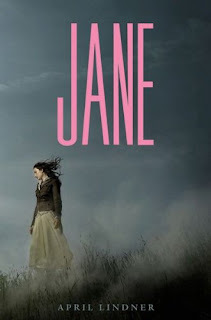 Obviously there are no real secrets or major surprises to be found within reading – unless of course you haven’t read Jane Eyre – but Lindner still manages to keep the book 100% captivating. The book doesn’t just stand up as an homage to Jane Eyre either – the gorgeous prose and characterization make it an excellent book on its own merit. However, I do think knowledge and appreciation of the original is necessary to fully understand what the book manages to accomplish. The blend of originality and adaptation found in Jane and Nico is very seamlessly done, and they are fabulous characters. Nico is in his 30s, but definitely not old enough for cause to wave the creep flag. He is very giving and kind, and I loved his interactions with Jane. Very hot. He definitely channels the spirit of Mr. Rochester and makes him modern. Basically, this book is awesome. If you haven’t read Jane Eyre – do so. Gotta respect the classics. Then pick up a copy of this book and introduce yourself to Jane all over again. Different girl, same spirit. Yay! Another person who loved this book. Great review! Although I'm not a big Bronte fan, I think this book sounds amazing. Glad to hear that the age difference isn't too creepy as I was wondering about that. I almost bought a copy of this yesterday when I was at Borders. Now I am bummed that I didn't. You made me really want to read it. Thanks for the review! Nico definitely did not get my creep flag waving either. ALSO, I loved the bit of foreboding too!